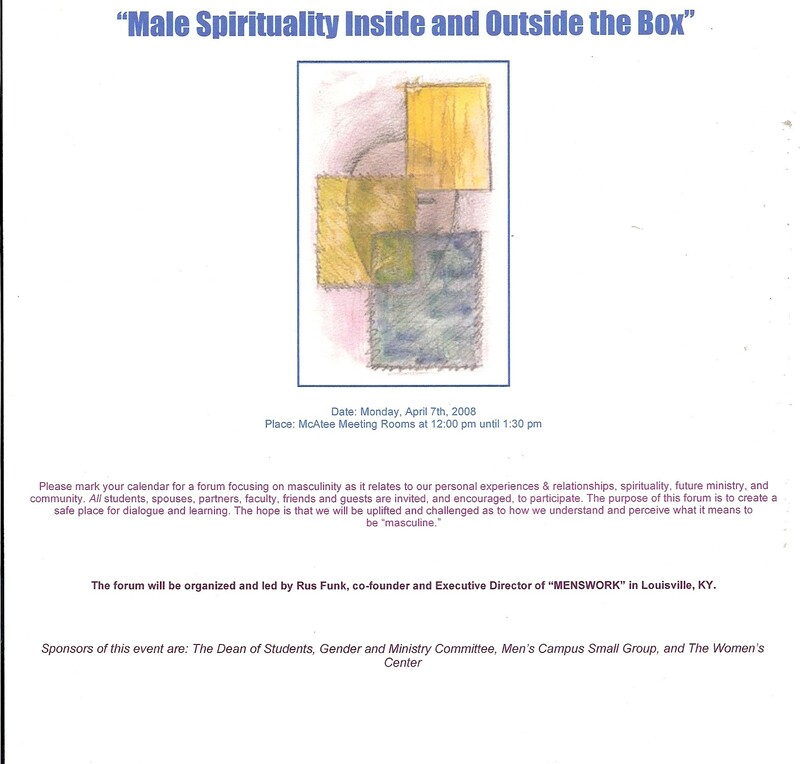 Panelists from the Louisville transgender community will reflect on and share with the Seminary community their experience as persons of faith within communities of faith, and on what that means for building faith communities that extend welcome to all their members. All events planned for the Transgender Day of Remembrance are free and open to the public. doors open 6:00 p.m., film screens 6:30 p.m. The film Soldier’s Girl is rated R for sexuality and violence. Depictions of violence have been known to re-traumatize survivor’s of abuse. Viewer discretion is advised. Light + Lunch with Lynne Smith, O.S.B. A small group of attendees shared positive reviews of the workshop, which was held in the Women’s Center. 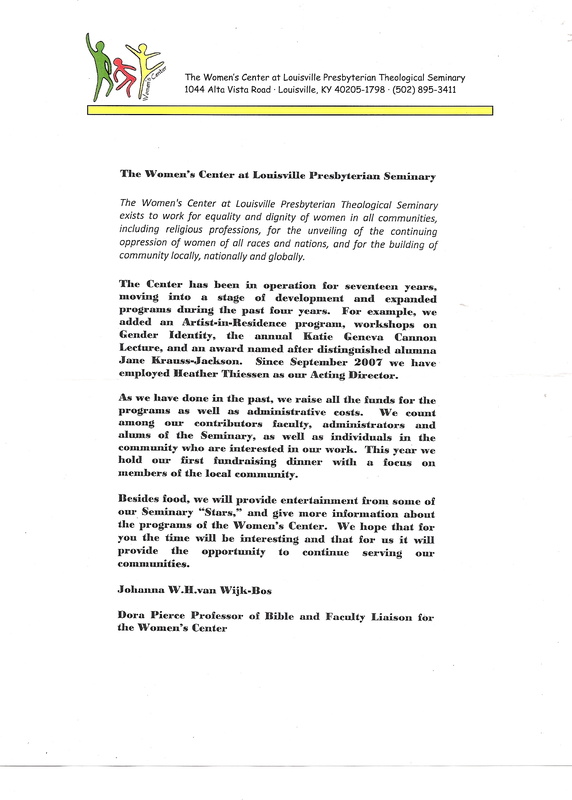 It’s not too late to join the Women’s Center at LPTS team and raise money for local efforts in support of HIV/AIDS sufferers and their families. Click to go to our donation page. This event focuses on raising consciousness about and preventing sexual assault. The event flier outlines the complete program. 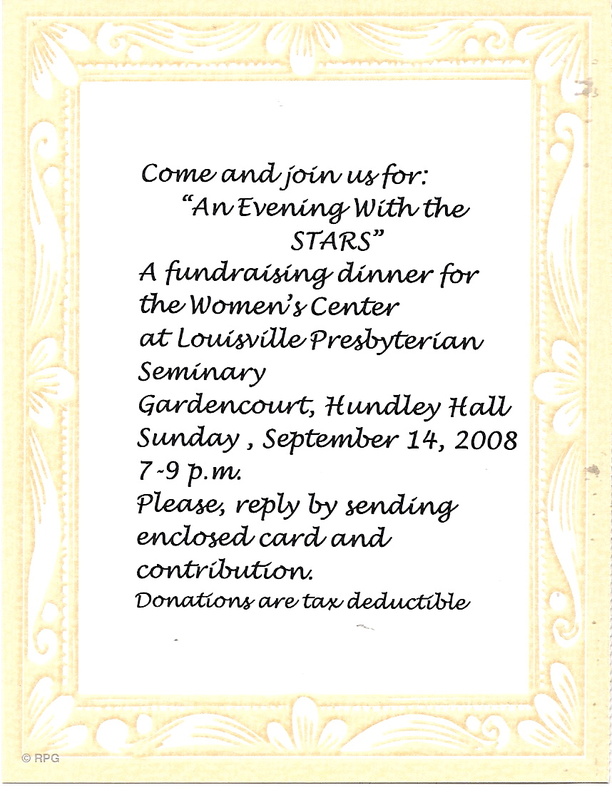 The Women’s Center participated with an information table at this event. The occasion was the final appeal in a disciplinary case against Rev. Jane Adams Spahr for performing LGBT marriages as a minister in the Presbyterian Church USA. Bob Gamble met with interested students and others by appointment 2:00-4:00 p.m. in the Women’s Center.